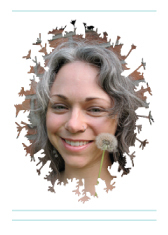 Skincare Questions Answered - Consult the Herbal Chemist at Blissoma! 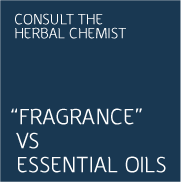 The difference between essential oils and "fragrance" in your skincare. As the chemist and founder for Blissoma I often consult with customers to help them find the right products from our line for their skin. I also am frequently asked about our ingredients, one of which being the scents in our products. There is a lot of concern out there about scent in personal care, and rightly so. This article should illuminate some key differences between Blissoma scents and many other scented personal care products. Almost all of our Blissoma skincare line currently includes some scent in each recipe. Many personal care products available on the market do contain a scent. In fact, visit any average drugstore and you'll have a truly difficult time finding a shampoo, conditioner, lotion or cream that doesn't have aroma. For most of these products the purpose of the scent is to perfume the user, eliminate negative odors, and create an encompassing product experience. Many times customers purchase a particular product partly because they have formed a positive association with how it smells when applied. For most products the aroma is like a decoration - perhaps pretty, but without function beyond aesthetics. You will see it in the ingredients list as "fragrance" and generally it is a trade secret ingredient. Manufacturers are not required by the FDA to disclose ingredients in their scents, meaning that up to hundreds of individual scent ingredients may be contained under that simple fragrance wording. Regulation is very loose and so truthfully you have no idea what may be in your fragranced bodycare. Some ingredients may include pthalates which have become a focus of great scrutiny as they have been found to disrupt endocrine function in the body, which is a technical way of saying that they interfere with your normal hormone functions. The Campaign for Safe Cosmetics has a page of information on fragrance in personal care that is useful to review. I began my career in herbals working with essential oils and aromatherapy, so I do have an affinity for scent. However, I work with a very strict palette of 100% botanically sourced essential oils. There is a great difference between an artificial, lab-produced fragrance ingredient and an essential oil that is coming directly from a plant. One of the key differences is that an essential oil has inherent medicinal action on the body whereas a fragrance compound is at best inert and if you fall into the purist camp it is seen as a source of toxin load for your body as it is bringing you in contact with potentially irritating and unknown ingredients that may aggravate allergies and build up in the body over time. The essential oils in our products are indeed part of the total wholistic action of Blissoma products. They provide actions that detox, clear pores, soothe, and cleanse. So the inclusion of them goes far beyond an aesthetic experience and works with the total herbal effect of each product. You may also notice that we disclose all of the individual essential oils used in each formula. This is so you can identify any ingredients to which you may be sensitive and make educated decisions about which of our products will be right for your skin. Each essential oil is declared so you know exactly what you are using. The oils in this formula contribute directly towards the calming effect of the product. German Chamomile and Blue Yarrow are filled with Chamazulene and Matricin which are potent anti-inflammatory constituents. The product has a deep, honey-like smell which is a great deal due to the German Chamomile. As long as none of these plants is an allergen for you then you should be able to use this product without trouble. Even people who normally have a sensitivity to "fragranced" skincare generally do well with our products. Only if you are sensitive to a specific herb or essential oil should any of our products be proactively avoided due to scent ingredients. There are individuals who react to even essential oils. For you we hope to create a collection of products someday that will specifically exclude all aromatic/essential oil ingredients. Do you have a question you'd like me to answer about our products or about natural skincare in general? Write me at jlongyear@iriestar.com and ask away! I'm happy to help you find answers that will be truly beneficial for your total health and beauty routines. I always follow your blog site. Your blog is very beautiful and informative.